Seriously, I think I might have a problem!! 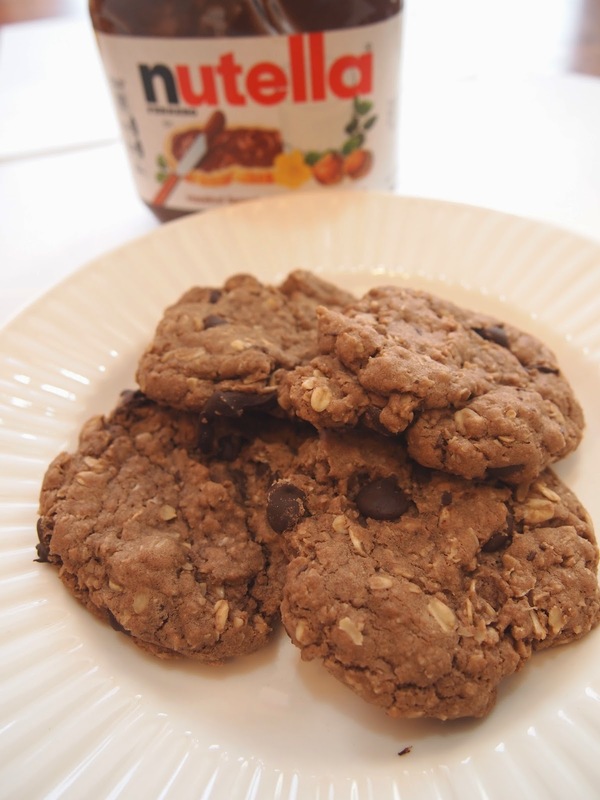 I absolutely love Nutella, you might have noticed that, I put Nutella in any recipe I can get it in! I know it's fattening, but in moderation, it enhances every recipe and makes it BETTER!!! 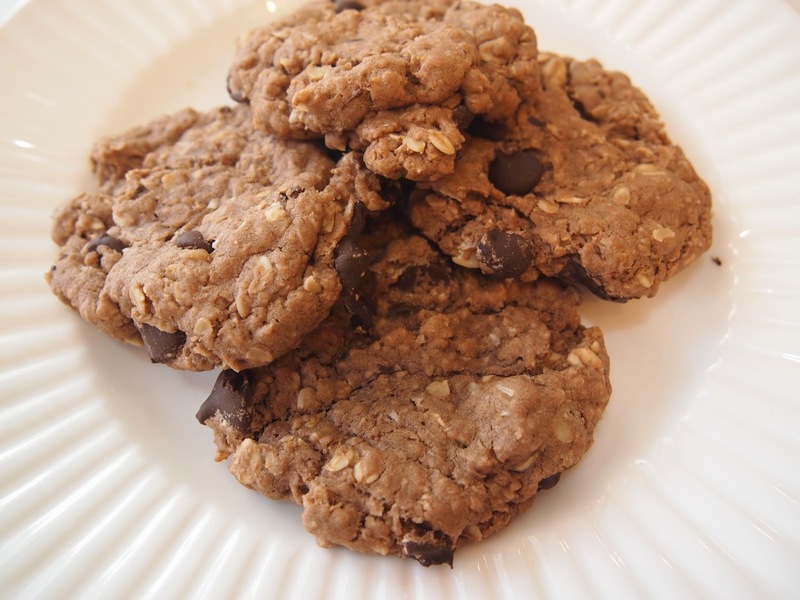 So, it's been a while since I have made cookies, and who doesn't love A good cookie; especially one with Oatmeal and Nutella in it, it's a win, win! My son claims he hates Nutella, so funny, I just told him to eat one and he assumed they were chocolate....15 cookies later I told him they were Nutella,he said "As long as Nutella tastes like Chocolate I'll eat your food!" Wow, wasn't that generous of him? I just wanted to address a baking and flour concern, I bake with Pamela's Bread Flour ,, so if you use other flours I can not guarantee how your dessert will turn out; so please do some trial and error adjustments on the flour, baking soda, baking powder and baking times. I hope this helps everyone out, Thanks for all of your support. Preheat the oven to 325 degrees, spray your pans with Pam. Bake for 10-12 minutes depending on your oven, cool for 5 minutes and remove. Do not over cook, the edges are crispy, and the center is moist and delicious. This recipe makes 26 cookies and stores for 4 days in a sealed container. -First cream the butter and brown sugar together, then add the Nutella and mix well. -Now add the eggs, vanilla, baking soda and salt, mix them together and scrape the sides. -Then add your oats and mix, scrape, next add the flour, mix well until the flour is all incorporated. -Lastly add the chocolate chips and mix in. - Now roll these babies into balls, then press lightly in the middle, it helps them to spread a little....or if you like a fat cookie, don't press on the middle. This is one of my Favorite things! I absolutely love, love,love Franz Bread! I can finally have Grilled Cheese and French Toast again! Thanks Franz!